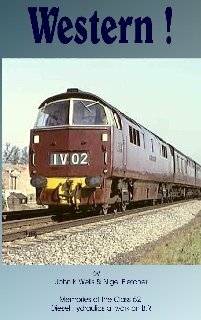 Produced by Foretrak Pictures, this programme features wonderful scenes from the early hydraulic years and includes the whole range of ‘Western’ liveries as the D1000s share space with other diesel-hydraulic types. The film also includes interviews with ex-BR staff involved in the introduction of the ‘Westerns’ and with acknowledged expert Adrian Curtis. This gives us a fascinating insight into the thoughts and motives behind the ‘Western’ project and even the choice of names for the locomotives.